It’s always tough to find out that a family member or friend has been arrested. But it can be especially difficult when that friend or family member is struggling with mental illness. Law enforcement is not well-equipped to treat mentally ill offenders. Often, an arrest can turn into a downward spiral for someone who is mentally ill. Incarcerated people with mental illness are at a higher risk of being sexually abused than those without mental health issues, according to a recent NPR report that cites federal data. If isolated to avoid contact with an abuser, the inmate’s mental illness may worsen, research finds. About 500,000 people in the U.S. are incarcerated. More than 40 percent of jail inmates have been told by a mental health professional at some point in their lives they have mental illness. Twenty-five percent of jail inmates meet the threshold for having serious psychological distress, but only one-third of them receive treatment for the condition. What type of help is available for mentally ill people who are arrested? Some people with serious mental illness end up in and out of the criminal justice system. The jails in effect become a community’s largest mental health facility. But unlike hospitals, jails are not equipped to offer proper access to medication and treatment. A mentally ill inmate who experiences an episode related to schizophrenia or another condition may end up in isolation. Recognizing the problem, many county jails in the United States are increasing mental health screening efforts and taking steps to get inmates treatment after they are released. The jails are working with mental health facilities, which research has found is an effective way to help inmates. Efforts are under way to reduce the number of inmates who are dealing with mental health issues. The Stepping Up Initiative was started in 2015 to reduce that number. More than 450 counties have passed resolutions to join the national initiative, launched by the Council of State Governments (CSG) Justice Center, the National Association of Counties and the American Psychiatric Association Foundation. Every day, someone with mental illness is arrested. And often, the person is back before a judge because they did not receive proper treatment for their condition. We have represented a range of people charged with crimes, including those with mental illness. People struggling with mental illness need treatment for their condition, not incarceration. Contact us today for a consultation today if you, a friend or loved one has a mental illness and was arrested. Learn more about how we can help protect your rights. In today’s world, it is nearly impossible for some people to refrain from using social media. If you have been charged with a crime such as DWI, or are under investigation, it’s important to understand the impact your Internet activity can have on your case. If you are under investigation, law enforcement may also execute a search warrant to search your phone and other electronic devices. Even if you delete your texts, photos and social media posts, police may still be able to extract them. 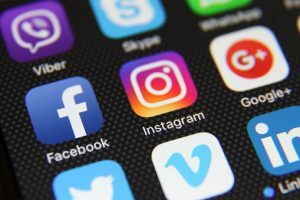 Law enforcement officers may not only scrutinize your social media activity, but also find incriminating evidence from viral posts shared by others. Even if you delete a post involving illegal behavior, your posts may have been shared by others. In a North Carolina animal cruelty case, three suspects reportedly mutilated a cat and posted pictures of their crime on Instagram. A woman who saw the post reported it to police, who were able to catch the three suspects and charge them. But suspects themselves don’t always have to use social media to get caught. In many cases, photos and videos of a crime have gone viral on social media and have helped police identify and catch suspects. Whether you are under investigation or you have already been charged with a crime, it’s important to remain silent. Anything you tell law enforcement officers, or any clues you leave behind, can later be used to convict you in court. If you are arrested for DWI or another charge, you should consult with an experienced Texas criminal defense attorney as soon as possible. Amanda Webb – DWI Attorney knows how to build a strong defense and will aggressively fight for your rights. When arrested for a DWI, many drivers focus on only the worst consequence – going to jail. If incarceration is not imposed, then a combination of probation and a hefty set of fines is almost always the penalty. But along with that goes another possible loss of freedom: the loss of your license to drive. And your license will be affected even before you appear in court. When you are arrested for DWI, police officers must take away your Texas driver’s license. That’s even if you agreed to take a breath or blood alcohol test. So don’t be fooled: whether you take the test or not, your license will be taken away upon arrest. But there are ways to get it back as long as you act quickly. First off, you will be issued a temporary driver’s license by the state, but it’s only good for 41 days. And you have just 15 days after your arrest to request a civil hearing. A favorable outcome will mean you get your license back – and get back to your job and family. But you must act right away; you only have 15 days to request a hearing and you must do so in writing. Those are two important numbers to remember, 41 and 15, and it may seem confusing to you. That’s why it’s so critical to contact Attorney Joseph LaBella right away so he can fight for you. At the license hearing, the state has to prove that your arrest was based on probable cause and either that you were either legally impaired or that you failed to take the opportunity to provide a breath or blood test. That means the police officer had to offer you both the blood and breath test and had to explain the consequences to you. A skilled attorney can attack the state’s evidence at this stage and help you get your license back. If you are convicted of DWI and not jailed, you will still face serious consequences in addition to a loss of license for possibly a year or more. If you are allowed to drive, you may have to pay the cost of having an anti-impairment device on your car ignition. You may also be ordered to pay thousands of dollars in fines to the court. The financial drain does not stop there. You will also face much higher costs for your auto insurance when you eventually return to driving. These higher premiums can last for years. You may also be barred from renting a car. Most car rental companies will ask if you have any convictions, and if they find out you were not truthful, you will be barred from doing business with them. For these reasons, it’s clear you will need a skilled attorney at Joseph LaBella and Associates. They are trained to fight for you. You’ve had a couple of drinks. You are stopped at a DWI checkpoint on a Texas roadway. You’ve been caught and might as well accept your fate, right? Wrong. Even if you think you’ve been nabbed red-handed, you have rights at a DWI checkpoint. While it may appear that the police have all the advantages when stopping motorists for a sobriety check, that’s not the case. You still have your constitutional rights, regardless of the circumstances. And police, whether overconfident, incompetent, or just in error, often make mistakes. In either case, you are not a helpless victim. Yes, police have the right to briefly stop your vehicle. However, it is important to note that, according to the website Flex Your Rights, police may not search either you or your vehicle unless they have probable cause that you have been drinking or you agree to the search. You also are under no legal obligation to answer their questions. 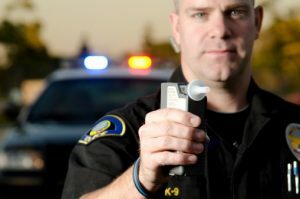 Police are experts at making leading statements like “I can tell you’ve been drinking.” While it may seem reasonable to respond with “Yes, but I only had a couple of beers,” you could be providing police with the probable cause that they need to search your vehicle or administer a field sobriety test. The first and best piece of advice is simple: never volunteer information to the police, no matter how innocent it may seem. What happens at a DWI checkpoint can have a devastating impact on your driving record. For example, a first offense can result in a fine of up to $2,000, three to 180 days in jail, loss of license for up to a year, and an annual fee of $1,000 or $2,000 for three years to retain a license, according to the Texas Department of Transportation. Subsequent convictions carry much steeper penalties that can haunt you for years. Just as important to your future is what happens in the days or weeks after being stopped at a DWI checkpoint. 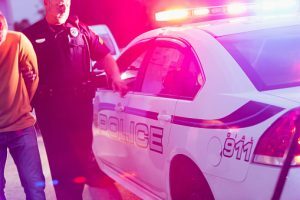 No matter what you do – or don’t do – at the scene, you could become the victim of an overzealous Texas police officer looking to pad their DWI arrest statistics, as well as the state coffers in terms of surcharges, fines and court costs. As a result, you may be facing serious charges. You might think the police have the law on their side, but Texas DWI lawyer Joseph Labella knows better. He has been specializing in cases like yours for 20 years in the Houston and The Woodlands areas, as well as Conroe, Montgomery and Waller counties. He has a proven track record of success in handling DWI cases. He knows the best way to deal with police and prosecutors, and how to present your case to a jury. Across Texas, campus police are cracking down on student drinking. In many cases, that means they are targeting students who drink and drive. The trend goes back several years. DWI arrests on college campuses in Texas jumped 22.4 percent from 2013 (1,358) to 2014 (1,668), according to U.S. News and World Report. That was the fifth-largest increase among states. More specifically, the report cited West Texas A&M (from four to 18, up 376 percent) and Texas A&M Corpus Christi (30 to 119, 285 percent). More recently, The Daily Texan reports that DWI arrests at the University of Texas at Austin rose from 26 in 2015 to 60 in 2016, thanks to a more aggressive approach by some officers. One officer said he could foresee arrests reaching into the hundreds annually. The crackdown is not limited to the Lone Star State. In recent years, the targeting of student drinking in general has been reported at Temple University, the University of Wisconsin at Madison and, according to The New York Times, the University of Michigan, the Ohio State University, Boston University, Stanford University and Indiana University. Drinking and driving carries consequences that extend far past a student’s years at school. According to the Texas Department of Transportation, a first offense can mean a fine of up to $2,000, three to 180 days in jail, loss of license for up to a year, and an annual fee of $1,000 or $2,000 for three years to retain a license. With a second offense, penalties include a fine of up to $4,000, one month to a year in jail, loss of license for up to two years, and an annual fee of $1,000, $1,500 or $2,000 for three years to retain a license. With a third offense, punishment increases to a $10,000 fine, two to 10 years in prison, loss of license for up to two years, and an annual fee of $1,000, $1,500, or $2,000 for three years to retain a license. Also, after two or more convictions in five years, you must install a special ignition switch that prevents your vehicle from being operated if you’ve been drinking. It’s obvious that Texas colleges and universities are serious about combating student drinking. Unfortunately, what often happens at the same time is that overzealous police and prosecutors sometimes seek to make an example out of innocent students. Campus police, in particular, are not often trained to properly handle delicate legal matters and can make mistakes along the way. Common errors range from stopping a motorist without an acceptable reason to improperly administering a sobriety test. If you are facing a DWI charge, you need an experienced legal advocate who will not tolerate the questionable tactics employed by police and prosecutors. Texas DWI lawyer Joseph LaBella has been specializing in cases like yours for 20 years, serving the Houston and The Woodlands areas, Conroe, and Montgomery and Waller counties. His insider knowledge of the police and courts in the region gives him, and you, the advantage. Attorney LaBella has obtained dismissals in hundreds of cases and has a remarkable 90 percent success rate in cases that he has tried. Schedule a free consultation by visiting our website. The Fifth Amendment to the United States Constitution protects Americans from being forced to incriminate themselves by the government. This right is so important that it has been incorporated into the well-known Miranda Warnings, which must be read to a suspect before he or she may be questioned by law enforcement officers. Despite receiving these warnings, many suspects do not fully understand their implications. Virtually any statement made to a police officer can be used as incriminating evidence against the suspect. For this reason, it is important to say as little as possible before, during, and after an arrest. A Houston criminal defense attorney can help defendants protect their important constitutional rights throughout the criminal case process. One of the most common problems suspects face upon being arrested is the promises made by law enforcement officers. A suspect will often be told that “things will go easier” if he or she cooperates. The officer may offer to tell the prosecutor that the suspect cooperated and imply that there will be leniency as a result. Some officers may even blatantly promise a reduced sentence, probation, or a diversion program in order to spare the suspect from jail time. The fact is that only a prosecutor can decide whether to offer a plea deal. Even then, a plea offer must be accepted by a court in order to be enforceable. No officer has the authority to execute an enforceable plea deal. While an officer can indeed speak to a prosecutor about the case, his or her intervention cannot determine the outcome of a case. This issue was examined in 2004 by the Court of Criminal Appeals of Texas (See Martinez v. State, 127 SW 3d 792). Mr. Martinez was arrested after police executed a search warrant on his father’s upholstery shop and found drugs on the premises. The police questioned Martinez and told him that his father and brother would not be charged with crimes so long as he admitted that the drugs were his. Mr. Martinez wrote a confession to this effect. Later, he asked the trial court to suppress his confession, claiming that the promises about not charging his relatives rendered the confession involuntary. The trial court found that the confession was voluntary. On appeal, the Court of Criminal Appeals also found that the confession was voluntary and therefore admissible against Mr. Martinez. It determined that police officers had never made a “positive promise” to the defendant. Presumably, other cases in which positive promises were made would be more likely to result in a confession being suppressed. This case is just one of many examples of how confusing an interrogation can be for a suspect. The suspect is not familiar with the process, does not know what is happening and faces immense pressure from the officers who are questioning him or her. These factors can often work together to overcome a suspect’s will. Some suspects may not even realize that the information they provide is, in fact, incriminating. This is why it is so important to invoke one’s right to silence after an arrest. Make a clear and unambiguous statement to the officers that you will not speak to them without the presence of a Houston criminal defense attorney. For some Texas motorists, the post-holiday blues include drunk driving charges. The Houston Chronicle reported a slew of drunk driving arrests throughout the holiday period, in addition to 25 felony DWI arrests made by the Houston Police Department in November. Other news reports indicate Harris County officials made 117 arrests for DWI over the holiday period. 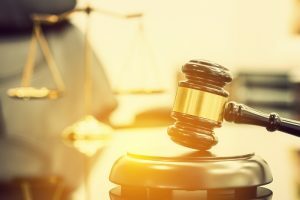 For those seeking DWI defense in Houston, it’s important to understand that the consequences of conviction can be severe. Under Texas law, those charged with first offense drunk driving face up to 6 months in jail, thousands of dollars in fines and a one-year license suspension. Nationwide, the average cost of a drunk driving conviction, including lost wages and increased insurance premiums, typically exceeds $10,000. Too often, motorists feel there is little to be done in the way of defending drunk driving arrests. Nothing could be further from the truth. In fact, arrests made during holiday enforcement blitzes often involve marginal or unfair arrest. 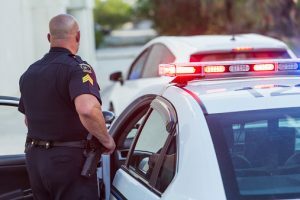 Challenging probable cause for your traffic stop, as well as disputing the results of field sobriety or breathalyzer tests, can be a valid avenue of defense. Additionally, those facing DWI charges in Houston have 15 days to request a hearing to avoid automatic suspension of their driver’s license. An experienced drunk driving defense firm will carefully review your case for errors. Common mistakes police make include initiating stops based on 911 calls, following drivers onto private property without probable cause, stopping a car for weaving within a single lane, conducting stops at an improper roadblock and failure to follow proper procedures in the administration of breath tests or field sobriety tests. Avoidable mistakes drivers make after arrests include not requesting an administrative license revocation hearing, not seeking the advice of an experienced DWI attorney, failure to appear in court or compounding their problems by being stopped for driving with a suspended license. Hiring a defense attorney does not mean your case will go to trial. In fact, the vast majority of such cases are resolved without trial. Other avenues of disposition include reduction, plea bargain or dismissal of the charges. Motorists who hire experienced defense counsel can use each of these to their advantage. Those that don’t are much more likely to end up with a conviction on their permanent driving record. “It’s just a first offense,” is another thing experienced attorneys hear too often. The fact remains that a drunk driving conviction can have consequences for years to come and may even limit your employment opportunities. Additionally, attorneys representing drivers facing a first offense often have the best chance of negotiating a reduction or dismissal of the charges. Experienced defense attorneys understand the cost of hiring a law firm is always a concern and can address the issue with upfront costs and expectations. But when it comes to defending your rights in the wake of a holiday drunk driving charge, not seeking experienced legal advice should not be an option. A proactive defense is always the best offense when it comes to keeping your license, protecting your rights, and giving yourself the best chance possible for a successful resolution of your case. The overwhelming experience of an arrest can be made even more confusing and overwhelming when a suspect does not know what to do. By learning about the arrest process and what to do – and more importantly, what not to do – suspects will be better able to protect their legal rights. 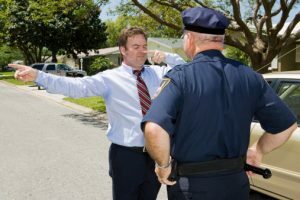 A Montgomery County DWI attorney can provide important legal advice that will protect your constitutional rights throughout the criminal case process. An arrest is a frightening experience. Many defendants are overwhelmed by the consequences they face. These consequences can include a criminal record, suspension of a driver’s license, court fines and fees, substance abuse screening and counseling, community service, jail time, and even consequences in one’s career (such as the suspension of a professional license, or disciplinary action from one’s employer). These consequences can be frightening, but they can be managed. Unfortunately, some defendants panic and give up hope of being able to turn their lives around after a DWI. This is what one suspect did when police attempted to pull him over in Arlington on suspicion of drunk driving. The Washington Post reports that the suspect eventually drove into Lake Arlington in an attempt to evade arrest. Such panicky reactions often lead to additional criminal charges and consequences. An experienced attorney can help mitigate the damage of a DWI conviction, but only if the suspect does not first make the situation worse. The Fifth Amendment protects criminal defendants from being made to incriminate themselves, and the government cannot compel a defendant to testify against himself or herself. This extends to incriminating statements made to law enforcement officers investigating a crime. This right is so important that in 1966, the United States Supreme Court determined that police must inform suspects of the right to remain silent and not answer incriminating questions. This opinion became the well-known Miranda Warnings. On the scene of an arrest, it can be difficult to know what questions to answer. When a suspect is not sure whether a particular question may incriminate him or her, the best thing he or she can do is politely decline to answer without a lawyer present. Police can, however, ask for identification. Suspects should also cooperate with simple requests related to booking procedures, fingerprints, and similar activities. But suspects do have the right to remain silent throughout this process and decline to answer any incriminating questions that are posed to them. Both the Fifth and Sixth Amendments protect a defendant’s right to counsel. In the 1981 case of Edwards v. Arizona, the Supreme Court has interpreted this to mean that once a suspect in custody unambiguously invokes his or her right to counsel, police must stop interrogation until counsel has been made available, or until the suspect voluntarily re-initiates communication with investigators. DWI defendants should be very careful to invoke this right as clearly as possible. Several recent cases have allowed police to continue questioning suspects when the request for an attorney was not made clearly enough. Only by unambiguously invoking the right can suspects stop police from asking incriminating questions. Consult with a Montgomery County DWI attorney as soon as possible after any arrest in order to protect your legal rights and promote fairness in the criminal court process. Law enforcement agencies across Texas step up DWI enforcement efforts during the holidays. Drivers should be prepared for this enforcement, and understand their rights if they do encounter police on the road after consuming alcohol. Thanksgiving isn’t generally seen as a wild holiday, but it has become one of the top holiday weekends for drunk driving accidents (and in turn, for DWI enforcement). Authorities have speculated it has to do with college students and others returning to their home towns to catch up with old friends the day before the big feast. Knowing that your odds of DWI arrest in Texas are much higher on a holiday weekend, it’s best to take measures to avoid those encounters. Although drinking and driving aren’t technically illegal, problems can arise when normal faculties are affected and/or blood-alcohol content meets or exceeds 0.08. The Texas Penal Code Section 49.01(1) defines intoxication as not having the normal use of mental or physical faculties by reason of the introduction of alcohol, a controlled substance, a drug, a dangerous drug, a combination of two or more of those substances, or any other substance into the body. This means that defendants can also face the consequences of DWI if they are under the influence of drugs. This can include recreational drugs, medicinal marijuana, or even lawfully prescribed medications which were used as directed. This statute has been put to use more and more frequently as America’s opioid crisis expands to its roadways. According to the Washington Post, 2015 was the first year in which drugged driving caused more traffic fatalities than drunk driving. 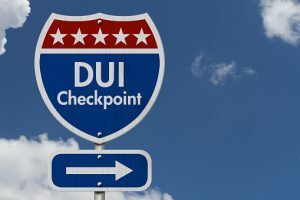 The law enforcement agencies of Texas – like those of many other states – step up DWI checkpoints and other enforcement measures during holidays which are the most likely to result in drunk driving. The Sugar Land Patch reports on such a campaign produced by the Sugar Land Police Department over Memorial Day weekend. And here in Houston, the Fourth of July saw increased DWI enforcement efforts by the Houston Police Department. Click2Houston interviewed one sergeant who reported an increase in drivers impaired by a combination of drugs and alcohol, or multiple drugs. Thanksgiving is also a time of enhanced DWI enforcement in Houston. The Katy News reports that 2016 was the third consecutive year in which the Regional DWI Task Force was assembled over the Thanksgiving holiday. While the details of 2017 Thanksgiving DWI enforcement have not been released, it is likely that similar enhanced enforcement strategies will be implemented throughout the Houston area. It is now easier than ever for drivers to avoid the many consequences of DWI by simply getting another ride. Ride sharing apps such as Lyft and Uber allow drivers to summon a ride exactly when and where they need it. The Uber fare pales in comparison to the fines, court fees, attorney’s fees, and other expenses associated with a DWI. If Uber or Lyft are not available in your area, a designated driver or taxi can be used as a backup. Accessing more backup options for rides reduces the likelihood of driving while intoxicated. If you are arrested on suspicion of DWI, be sure to contact a lawyer as soon as possible. An experienced Houston DWI attorney will ensure that your constitutional rights are protected during any criminal proceedings.